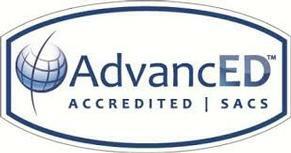 Our church and school work together closely to provide the best education possible in the Catholic tradition. 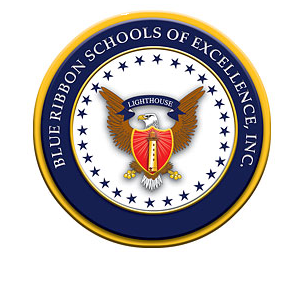 Academic and behavioral expectations are high and so are our students’ achievements.The school is fully accredited and has been named a Blue Ribbon School of Excellence for its outstanding performance. At POP, all are welcome. Our school family is religiously diverse and is comprised of Catholics as well as members of many other faith families. Parishioners, parents, and school administrators come together as a Formation Board to guide the church and school. The school PTO actively manages many of the yearly events and fundraisers that have kept our school growing year after year. Prince of Peace is currently one of the largest K-8 Catholic School campuses in the Diocese of Birmingham. Our newest campus building is a stand-alone Middle School which opened Fall 2015. As our population of students increased in both the church youth programs and the school, the new building made way for more classroom space allowing us to maintain our preferred small class sizes. Please schedule a tour to view our state-of-the-art classrooms, playgrounds, outdoor learning spaces, ballfields, elementary garden areas and more. Come see if our POP family is right for your family. Watch the School Tour video below!